Η Κοινωνική Ανάπτυξη Νέων είναι σε θέση να προσφέρει την ευκαιρία σε ένα άτομο 18 -30 ετών να συμμετάσχει σε πρόγραμμα Ευρωπαϊκής Εθελοντικής Υπηρεσίας στην πόλη Nîmes της Γαλλίας. ΣΗΜΕΙΩΣΗ: Το πρόγραμμα δεν είναι εγκεκριμένο. Τα αποτελέσματα για την υλοποίηση ή όχι του προγράμματος αναμένονται από τη Γαλλική Εθνική Υπηρεσία στα μέσα Ιουλίου 2016. Το πρόγραμμα καλύπτει πλήρως (100%) τα έξοδα διαμονής και διατροφής, συντονισμού, εσωτερικών μετακινήσεων, δραστηριοτήτων κτλ καθώς και 275 ευρώ από τα εξόδα του ταξιδίου από την Ελλάδα στην Γαλλία με επιστροφή. Επιπλέον, οι εθελοντές καλύπτονται με πλήρη ιδιωτική ασφάλιση, καθώς εντάσσονται στο πρόγραμμα ομαδικής ασφάλισης ατόμων που συμμετέχουν στο πρόγραμμα Ευρωπαϊκής Εθελοντικής Υπηρεσίας. Εάν ενδιαφέρεστε να συμμετέχετε, στείλτε μας ένα βιογραφικό στα Αγγλικά (κατά προτίμηση σε μορφή EUROPASS) καθώς και μία συνοδευτική επιστολή επίσης στα Αγγλικά, στο οποίο θα αναφέρετε λίγα λόγια για εσάς και τους λόγους για τους οποίους επιθυμείτε να συμμετάσχετε στο πρόγραμμα με e-mail στο fotini@ngokane.org. Στο θέμα του e-mail παρακαλώ αναφέρετε τον κωδικό 23_EVS_FR_KANE. The Europe House in Nîmes – Europe Direct Information Centre Gard-Lozère would like to host an EVS volunteer for a project of 11 months in Nîmes, a south-east city of France. The volunteer will participate at the activities of a High school close to the city centre of Nîmes. 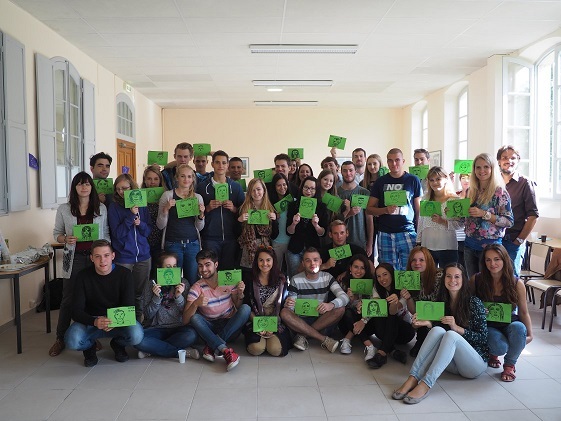 The objective of the project is to facilitate the intercultural exchange between the volunteers and students. Actor of the educational service, his activities will be to create and animate workshops for young people. Furthermore the volunteer will participate on the daily animation of the High school, using non-formal learning methods. Most of the activities of the volunteer will be in link with European languages, non-formal learning and information about Europe. Furthermore, the volunteer will have the possibility to make tasks according to his capacities and personal affinities. A time dedicate at the elaboration of his personal project, important part of the European Voluntary Service, will be offered to him with the support and the expertise of the Europe House team. 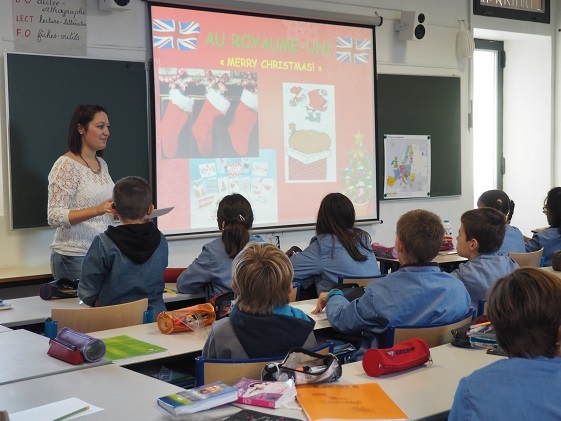 The Europe House in Nîmes wants to have a European in the team of the High school in order to add skills, especially with the volunteer of the school to be more European and international. From the volunteers, the Europe House is expecting their desire to give to the students their knowledge and enthusiasm for the intercultural dialogue and intercultural learning. European information and sensitization is more credible if it’s made by young people from other European countries who believe in the European Union and who have a strong motivation to participate to the programs that are proposed, as well as learning foreign languages. Candidates must have basic knowledge in French and/or English and/or Spanish. Their motivation, their capacity on bringing enthusiasm during their intervention, especially for the young people, and their understanding of the pedagogy and the contact will be important criteria. They will have to be flexible, mobile and to be able to adapt in every specific situation and every type of audience. Destined to encourage the mobility and the implication of the young people from 18 to 30 years old, the European Voluntary Service (EVS) helps to serve a non-profit organization or to a public body for general interest. Fully funded by the Erasmus + program (except for a part of the journey if necessary), the stay is totally free of charge for the volunteer. The working time of the volunteer will be around 35 hours per week. Working time will be from Monday to Friday from 8am to 5 pm (2hours break for lunch). Week-end are free days, unless for punctual activity that are taking place on Saturday and/or on Sunday. In this case, the volunteer will be able to take some more free days during the week. His holiday’s projects will have to be organized according to his tutor at least two weeks before. His meals will be provided either in the restaurant of his residence where he will be host, or with extra money that the High school will give him every month for his food. The volunteer will be host in an apartment or in a young workers hostel close to the centre, shops and the High school. The volunteer will have punctually to move for his activities, in that case the High school will organize everything. The High school is close to the city centre and shops. The volunteer will receive every month an amount of 115€ for his pocket money.